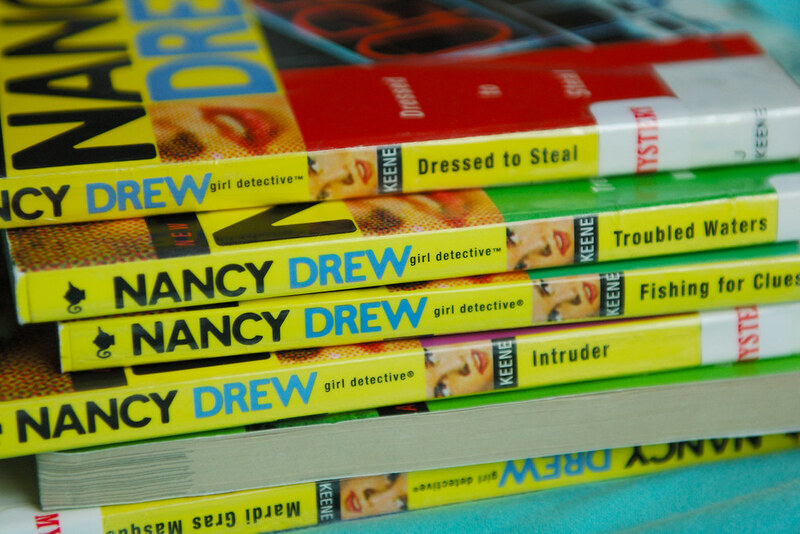 Erica has re-discovered her love for Nancy Drew mysteries. This rediscovery happened last weekend, after two sleepovers (one here, one away) with BFF Kathleen. We requested these from the library and picked them up from the Bookmobile this afternoon. There are 6 books pictured here as she was already reading the first one. Heck, as I write this blog post, she is about 20 pages from the end of that book! So, some light reading for our bookworm. We'll have to request 7 more next week. My daughter Abbie loves to read - she has gone through all the little house and almost all the beacon street girl and is looking for something new. She is 10 do you think she would enjoy these books?